We all know Saabs are built beautifully, they’re built to cover hundreds of thousands of miles, and it’s looking increasingly like those who truly love their Saabs may have to put them to the ultimate test – longevity. 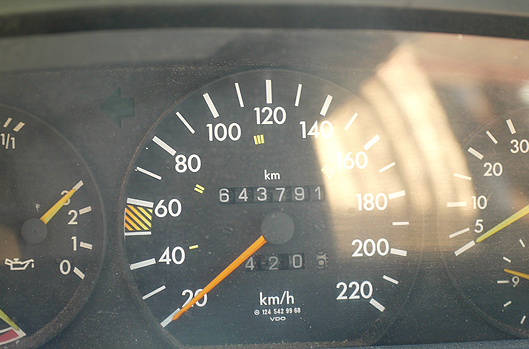 We were in Morocco recently, taking a taxi cross country to Marrakech, the driver was an older gentleman, eyes excitedly lighting up when I asked him about his loyal Mercedes, especially when I mentioned the milage shown on the dusty dashboard, “643,791 miles, and on the original engine”. He purchased it new, many, many years ago, and hasn’t seen any reason to change it since, but why should he, it was comfortable, reliable and oddly stylish in an eccentric kind of way. It got me to thinking, that although the future of Saab is looking bleak, those of us who already own one are rather lucky. My Saabs have varying milage; the new 9-3 saloon has just 14,000, the 900 has 138,000 and the 9-3 SportCombi has 143,000 miles, and in my humble opinion, all are just run in and have many more years of pleasure to give. Society seems to force us all to think we need new cars every few years. Ones with 100,000+ miles are seen as unreliable and costly, but lets face it, if the worst happens, and you need a new or refurbished engine, it may cost a few thousand, but still a lot less than changing. What we need now is to solidify parts manufacture and supply for all who are less bothered about the future value of our Saabs, and more about the ability to maintain them for many more years of unique and pleasurable driving. Why not create a high miles club, make it acceptable and exciting to see how far our Saabs can take us, rewarding the loyal and intrepid. 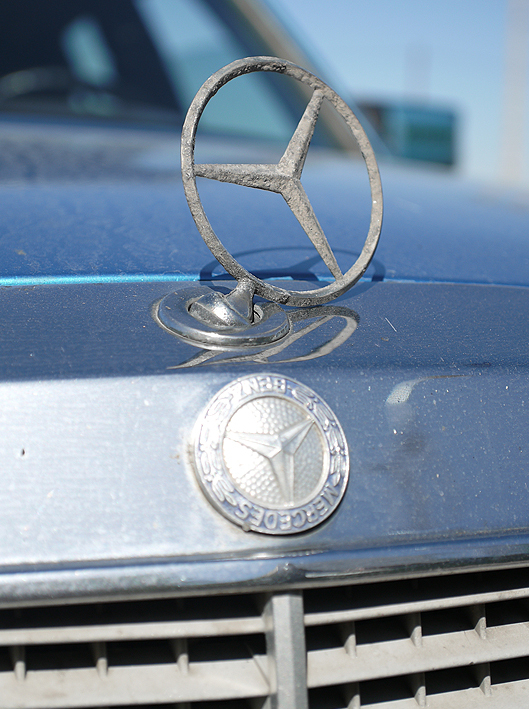 After all, if Ali can do it in his beaten up Mercedes, then I can sure do it in the comfort of my Saabs. This entry was posted in 9-3 Sport Combi, 900 Classic Convertible, Daily Life, Little Ramblings, Mercedes Benz, SAAB, SAAB Culture and tagged 9-3, 900, Journey, Life, Mercedes Benz, SAAB, Style. Bookmark the permalink. Mileage has never been a deciding factor for my Saab purchases…. Both of my Saabs were purchased with over 200,000 km on the dial. The Aero I’ve had for 14 years and now has around 330,000 on the dial. The Viggen has 270,000 on the dial. They require repairs and replacement parts from time to time, but no more than any other mechanical item around the house. In the next 5 years I can see myself adding a Turbo X to the collection…. And mileage won’t be a factor in my purchase either. I love washing and detailing the cars with my ever growing shelf of Meguires Ultimate products, and hope to keep all the cars for a life time. That’s exactly what I’m talking about, and a Turbo X would just be the icing on the cake. Years and years of happy Sabbing I’d say. There’s something rather appealing about Saabs that have done over 100,000, more personality maybe, stories to tell. I’m in…..I’ll be keeping my sc until I retire in 6 years time…..let’s see how we all do. I’m on 52 k at the mo…. Sounds like a plan, I think it will be our SportCombi that puts on the most miles, as the dog comes everywhere with us. For quite some time and for obvious consumerist interests, the industry has become obsessed with promoting planned obsolescence. For years, SAAB has been a good example of how not to succumb to these consumer desires. SAAB owners accustomed to feel identified with their cars and try to prolong its use over the years without becoming fads change for change. I currently I have three SAAB´s and look forward to “aging” with them for many years. They are part of my personality that I’m not willing to give. Unlike the majority thought, I know there are many people who think like me; we refuse to enter that consumerist spiral among other things, this has led western society to an economic crisis and the values ​​that nobody knows for certain how we will. I encourage all SAAB satisfied users who enjoy and care continue driving their cars for many years. Exactly what I wanted to say though this post. I know the 9-3 is a 10 year old platform for instance, but it easily compared to, and surpassed most of the other ‘new’ models I also tried. With some slight Hirsch modifications to the braking and suspension, it is / was simply one of the finest mid range ‘luxury’ cars out there. Our 9-3 SportCombi has just reached 150,000 now, I love driving it as much as the other 2, and if something should go wrong, I’ll fix it. I just wish I had space for a few more Saabs, a nice 9000 Aero and a older generation 9-3 Aero convertible for instance.